This recipe appeared in the November 2009 BBC GoodFood. I lightened it a bit, left out certain add-ins, and gave them the same treatment my vanilla cupcakes received in the previous post. You must have an electric food scale for this one. 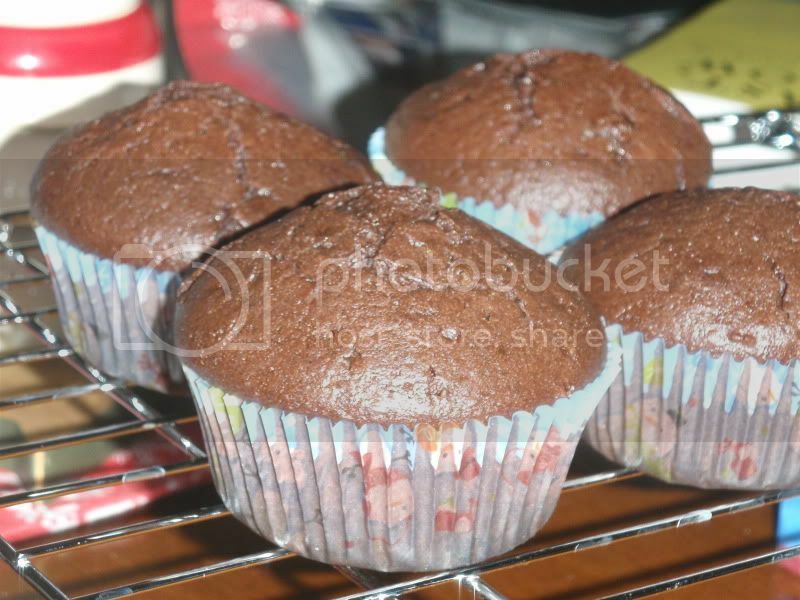 Prepare muffin pan by spraying with cooking spray or using muffin cups. Whisk together dry and wet ingredients separately. Then stir the two together. Pour into prepared pan. Bake for 18-20 minutes or until a tooth pick comes out clean. 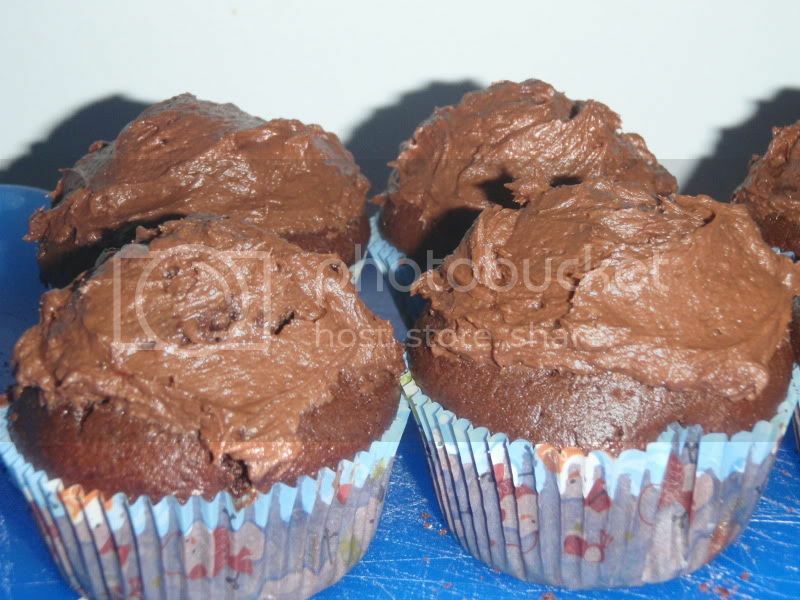 Using a paring knife, cut a 1x1" wedge out of each cupcake. Fill with 1 tsp preserves and then replace removed cake. Frost, if desired. Combine sugar, cocoa and salt. Set aside. In mixing bowl, beat butter until light and fluffy. Gradually add in sugar/cocoa mixture and milk mixture. This icing will cover about 2 dozen cupcakes.